20% off a case! 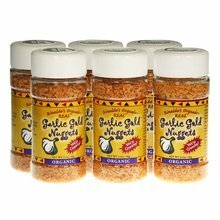 An incredible blend of our hand crafted, organic and delicious Garlic Gold® Nuggets with the zesty, spicy, full flavored taste of authentic Mexican Seasonings. 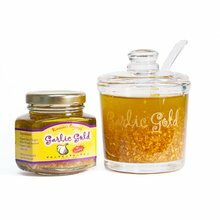 Sprinkle on tacos, enchiladas, burritos, guacamole, quesadillas, beans and rice or your favorite Mexican cuisine and enjoy our signature crunch and lively flavors from the Southwest! One case is six 2.0 ounce bottles.